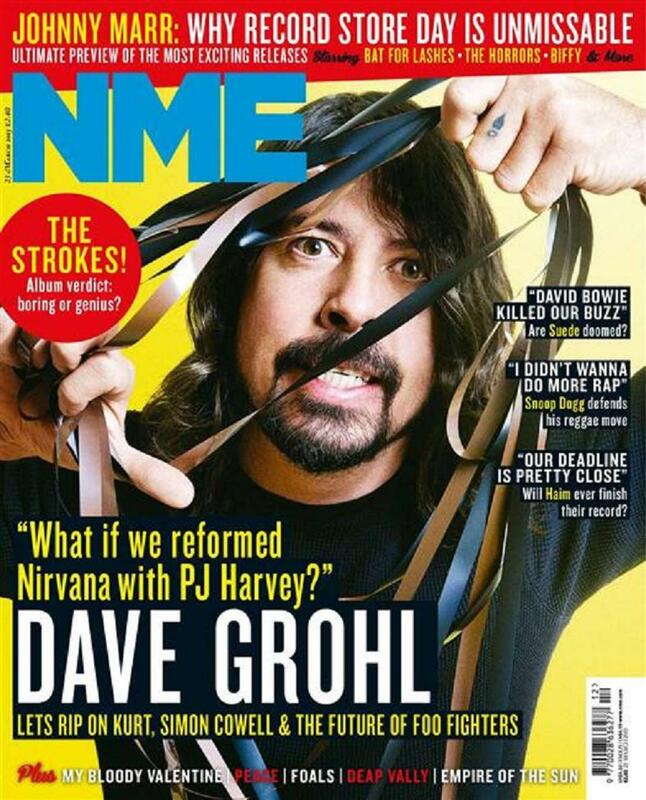 NME 23 MARCH 2013 pdf – Dave Grohl’s Most Revelatory Interview In Years! The Foos frontman and former drummer in Nirvana gets to grips with everything on his mind, which includes superstar collaborations with Paul McCartney, his work on the Sound City Players project, terrible TV talent show competitions, the prospect of reforming Nirvana with PJ Harvey singing Kurt’s vocals and the indefinite future of Foo Fighters. Unmissable. The Suede Comeback: Doomed From The Start? Brett Anderson and company seemed to have kicked off their comeback at the worst time when David Bowie surprised the world with his return on the very same day. NME joins the Britpop legends in Camden to dig deep on where it all went wrong 10 years ago and why they’re stronger than ever. Last year Snoop embraced Rastafarian culture and became Snoop Lion for the recording of a reggae album in Jamaica. Andy Capper, who filmed the process for the documentary “Reincarnated” speaks out about the entire experience by Snoop’s side. PLUS! Snoop Dogg speaks and slams the haters. Peace Vs The Strokes: Who Wins? New indie darlings Peace and former New York heroes The Strokes both release albums this week. But which one will impress most? Johnny Marr On Why Record Store Day Is Immense! Our Godlike Genius is gearing up for 2013’s day of vinyl celebration and explains why it’s more important than ever to head down to your local record store. Includes an exclusive run-down of the Top 10 releases to nab and interviews with Bat For Lashes, Biffy Clyro and The Horrors who are all putting out special gems for the occasion. When headed out on tour with the Deap Vally girls, NME assumed all the craziness would happen within the duo. Much to everyone’s surprise, it turns out their fans are more mental than any rock’n’roll band. Albums from Wavves, Chvrches, Edwyn Collins and Fear Of Men. ALSO! Live shows from Kurt Vile, The Internet and Kilo Kish, Johnny Marr, Cyril Hahn, Man Like Me, The Men and Parquet Courts, Cancer Bats, Sigur Ros, Jamie Lidell, My Bloody Valentine and East India Youth. ALSO! Interviews with Haim, Empire Of The Sun, Everything Everything, Foals, Loom, The Family Rain, The Child Of Lov and Andrew Weatherall takes the Braincells test. NME.COM blogs contain the opinions of the individual writer and not necessarily those of NME magazine or NME.COM.